So we’re quite happy that former New England Patriot left tackle Nate Solder is Big Town bound, even at the cost of $62 million over four years, with $35 million guaranteed. 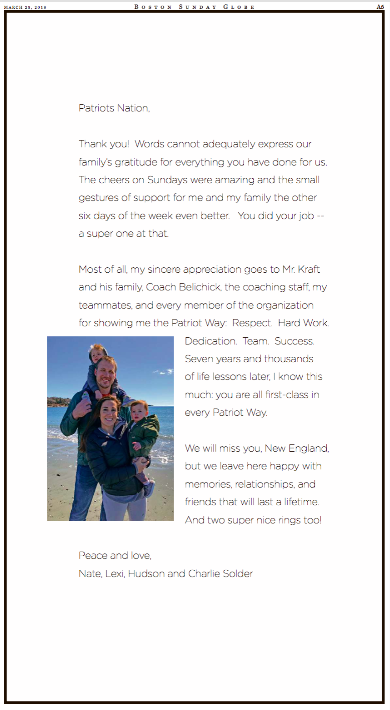 Solder’s feelings about leaving town, however, are mixed, as he mentioned in this full-page ad in yesterday’s Boston Globe. Crosstown at the Boston Herald there was . . . nothing. Note to Nate: Some denizens of Patriot Nation actually read the Herald. Apparently you won’t miss them – except with your ad dollars. Maybe Herald scribe Karen Guregian should take back the respectful sendoff she gave you yesterday. The Patriots have a question mark in a place no team wants a question mark. They’re below par in the one position they can’t afford to be, especially with Tom Brady the linchpin to their success. 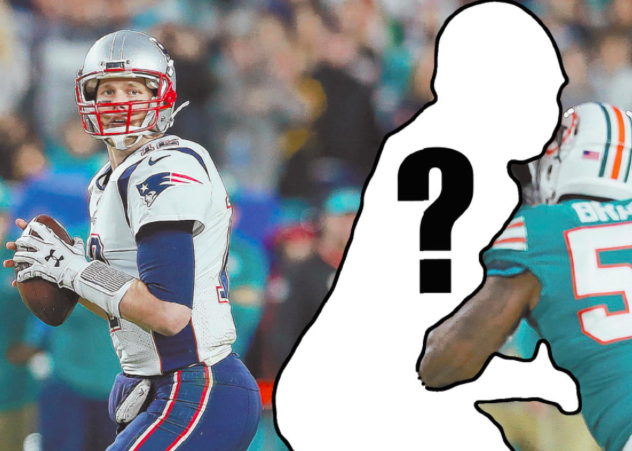 Uncertainty with Brady’s blind side protector? That’s not been a major storyline heading into a season for quite some time. Left tackle has been a strength for nearly two decades, from Matt Light to Nate Solder. For the Herald, advertisers present a different kind of blind side: They don’t even see the thirsty local tabloid. New slogan for the paper: Ad loss leaves hole, concerns.